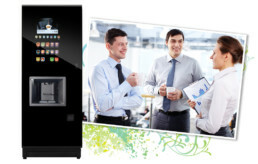 The Step combines stunning design and proven robust technology and is at the cutting edge of vending dispense systems. Finished in smoked glass the angular design with patented In-Touch user interface is akin to many consumer electronic devices. The large icon buttons make drink selection simple and quick. A video display provides user instructions, vend sequence and can be programmed to provide useful information such as nutritional content and calorific values. 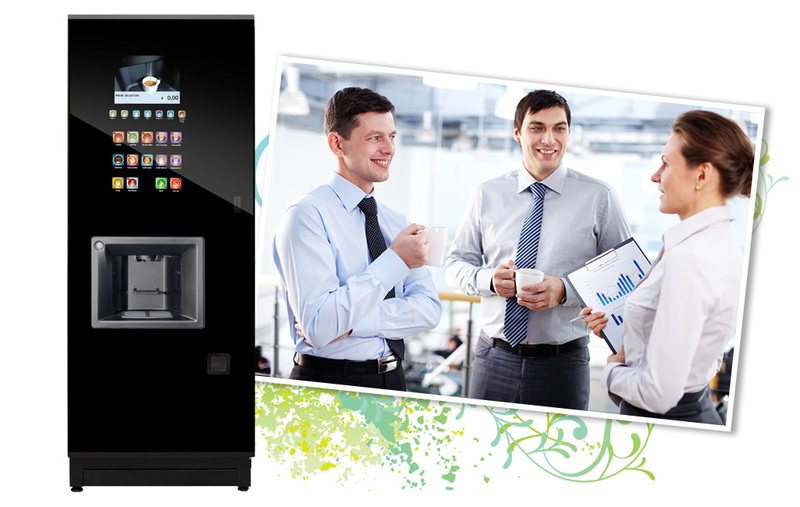 Available in instant, fresh brew and bean to cup models. The Step provides a complete menu of coffee shop style drinks – anything from sophisticated continental coffee blends to fresh leaf tea and indulgent hot chocolates. The in touch selection system allows the user to fully customise their drink, by altering drink strength and varying milk and sugar quantities. The unique quick code function provides a selection number for rapid choice the next time the exact same beverage is required.